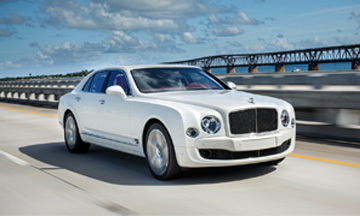 The Mulsanne is much more than a simple pairing of luxury with power. For a stylish ride to your wedding in Leicester, look no further than our stunning range of chauffeur driven Bentley wedding cars. Tropical Limos Wedding Car Hire Leicester is the best option when it comes to hiring a vehicle for your once in a life time fairy tale wedding. Our wedding services are adapted to suit your wedding day, personal taste and overall theme of your wedding day in Leicester. We can match and beat any genuine quote for your Leicester wedding and we guarantee to make sure you arrive in style and comfort. 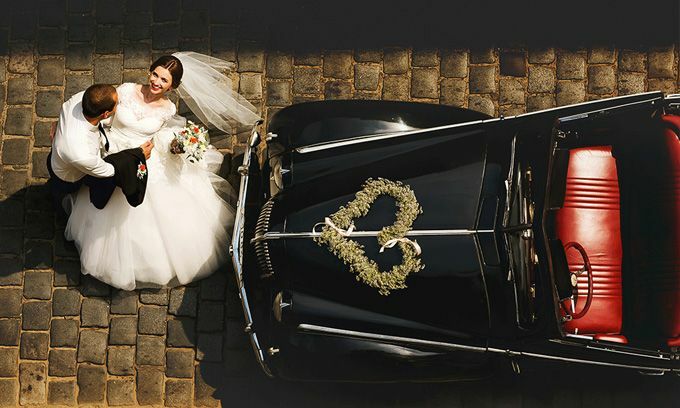 When you hire a wedding car from us, we guarantee to treat you like a princess or prince for the whole day. Our Wedding car hire service in Leicester has built up a reputation of providing luxury and comfort with first class service from our experienced chauffeurs. We are also renowned for our reliability which far exceeds any of our peers. 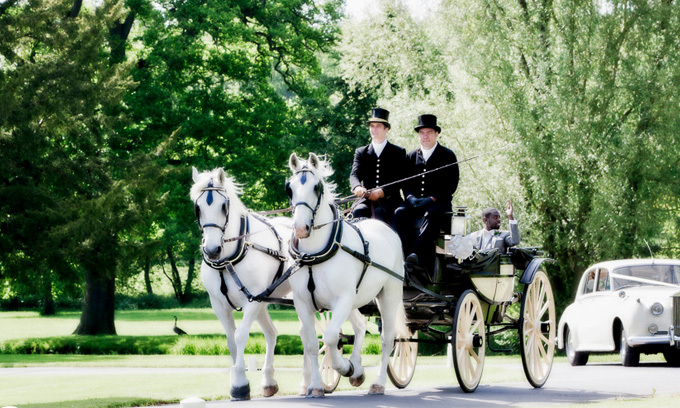 We will transport you in comfort as we glide you to the biggest day of your life. 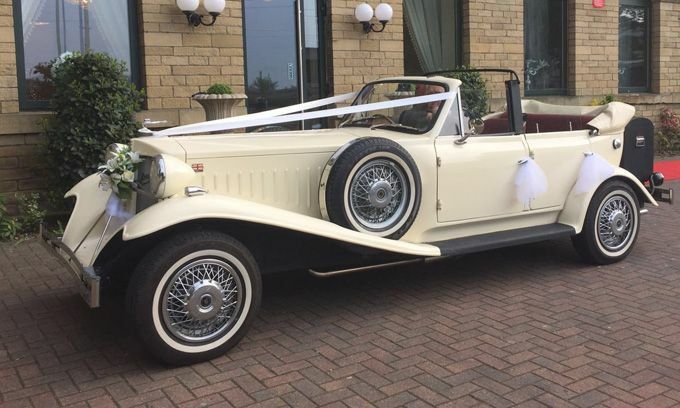 Hire one of our amazing wedding car for your big day in Leicester and a dedicated member of our team will help discuss every fine detail for your wonderful wedding day. We have been providing Wedding cars and Wedding limouisnes to our customers across Leicester for many years. We care about your special day and offer a unrivalled wedding car hire experience that will make your special day that little bit more amazing. With a wide variety of wedding cars from the Rolls-Royce Phantom to the Bentley Mulsanne, the BMW M4 to the Lamborghini Aventador or our why not choose from our wide choice of Luxury Limousines. What ever your needs for your big day , you can be rest assured that we have something perfect for every bride and groom. When organising wedding car hire in Leicester, give our dedicated wedding car hire specialists a call to assist you with your wedding planning. To make the wedding day extra special we provide a platinum wedding car package from our fleet of deluxe vehicles, limousines and even minibuses. Wedding car hire packages can be built to suit the wedding parties specific requirements. Whether you want to hire a luxury saloon for an important business engagement or a convertible sports car for that special occasion. Our Leicester wedding car hire service offers a wide range of luxury vehicles, all chosen for their reputation and status. Tropical Limousines has one of the largest selections of Wedding Transport in the East Midlands and are all viewable on one website. We are happy to arrange private appointments for you to view any vehicle based in Leicester or neighbouring towns and cities. The cars shown on our website are the actual vehicles provided for your special day and will be adorned with ribbons and all vehicles are chauffeur driven. Our attention to detail, years of experience and outstanding customer service has allowed us to become experts in the planning and provision of Wedding Car Hire in Leicester. 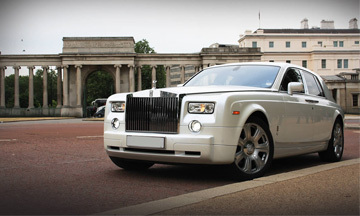 We can provide you a Chauffeured Rolls-Royce on your wedding day in Leicester at the best prices available. 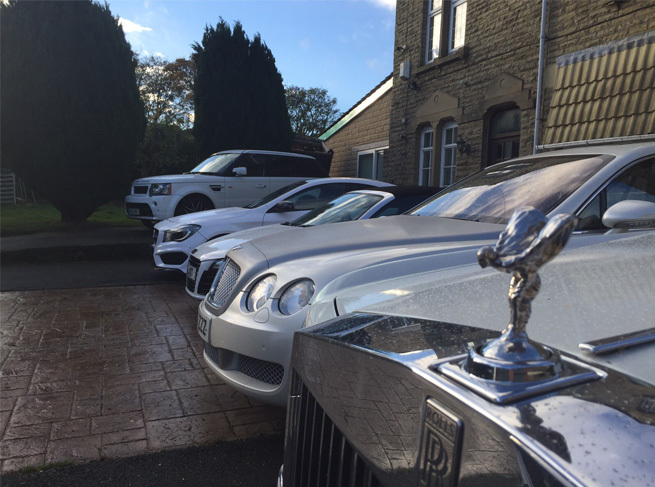 Our large fleet of luxury Rolls Royce chauffeured rental cars is also available at short notice in case you have been let down by another company. 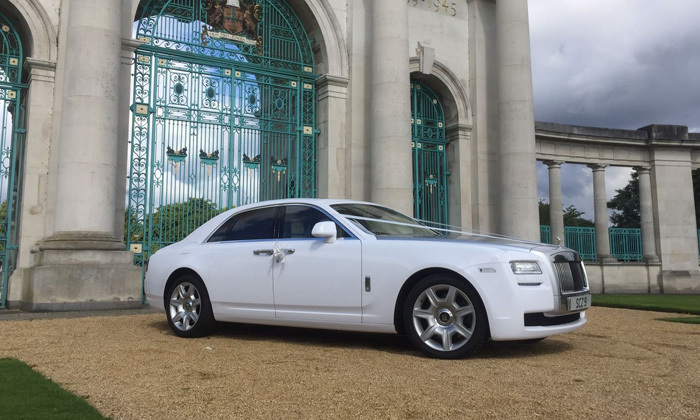 If the Rolls-Royce is not to your liking or budget then you will not find a wider range of wedding cars and limos anywhere else in Leicester. All wedding vehicles are also available to you in Birmingham, Leicester, Derby, Sheffield or London. 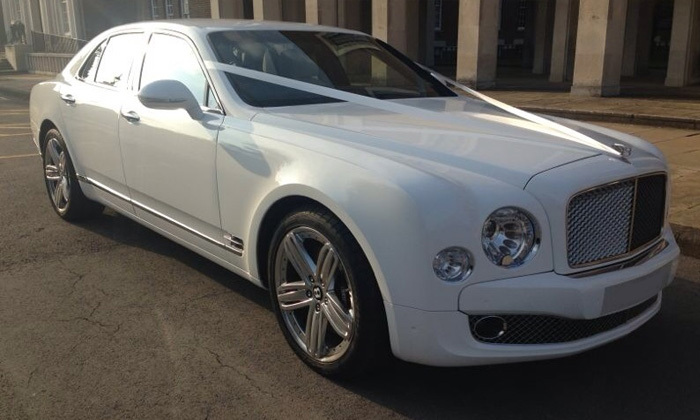 So if your looking for a wedding car anywhere in the UK, you need not look further. 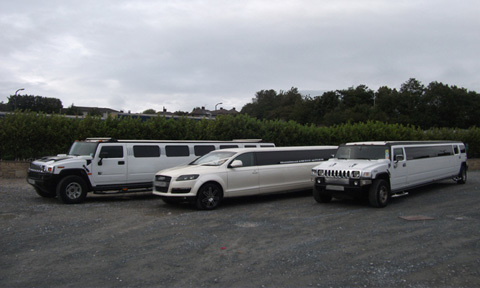 At Tropical Limos we have built a reputation over many years which is envied by our competitors. We cover all surrounding areas of Leicester so if you're looking to hire a Hummer limousine, a pink limo or a Rolls-Royce phantom, rest assured we will provide you a five star service. Wedding Car Hire Leicester All Rights Reserved.